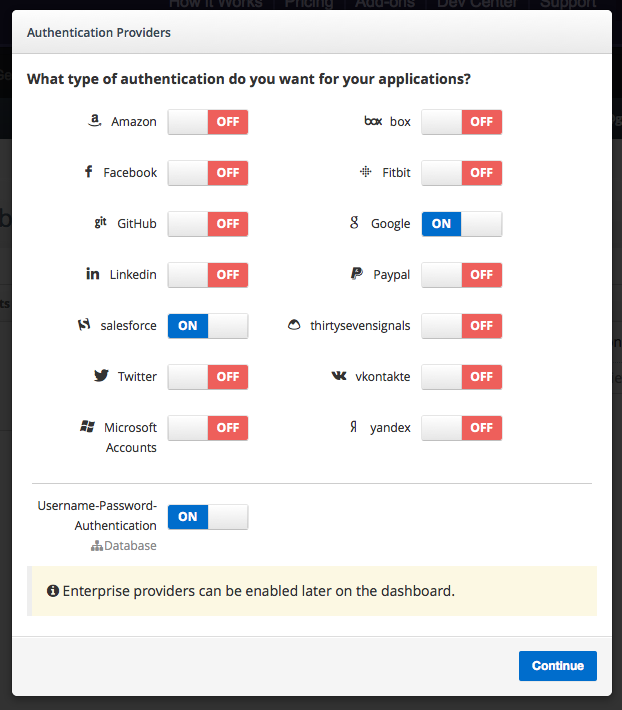 In this post, I'll show you how easy it is with Auth0 to get an app running on Heroku, authenticating users with Google, Salesforce and more traditional Usernames & Passwords. Check the link at the end of the post for the complete source of the example. I'll also use OpenID Connect as the underlying protocol. We will see more about how these parameters are used in the code below. Notice the process.env[...] calls? These are just retrieving the config parameters from the .env file. 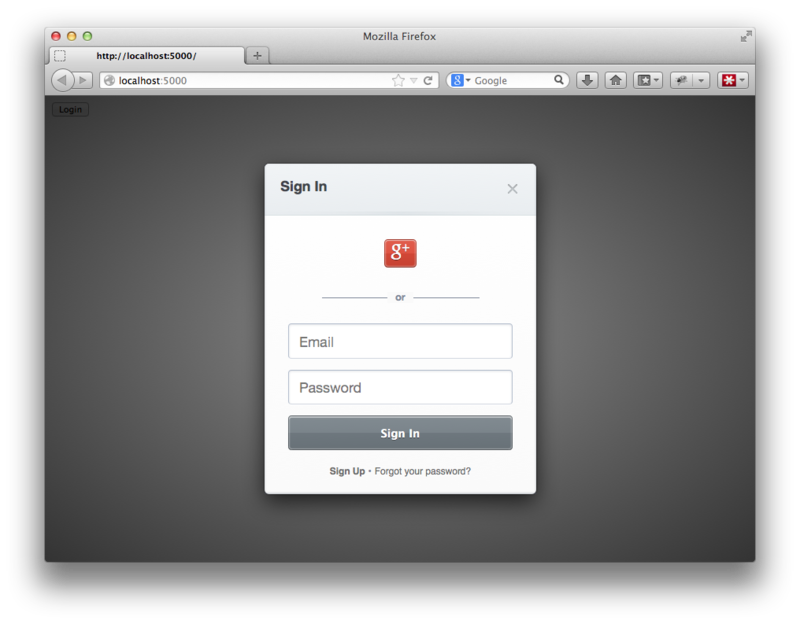 With almost no effort you already have Google authentication but also Username&Password authentication. User and password authentication comes with the sign-up and forgot-password tango already working. 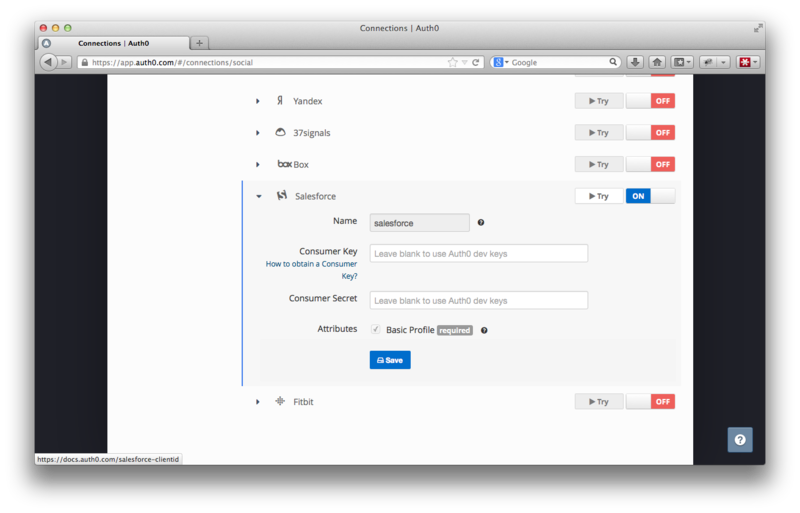 Later on you can change the e-mail templates in Auth0's dashboard. 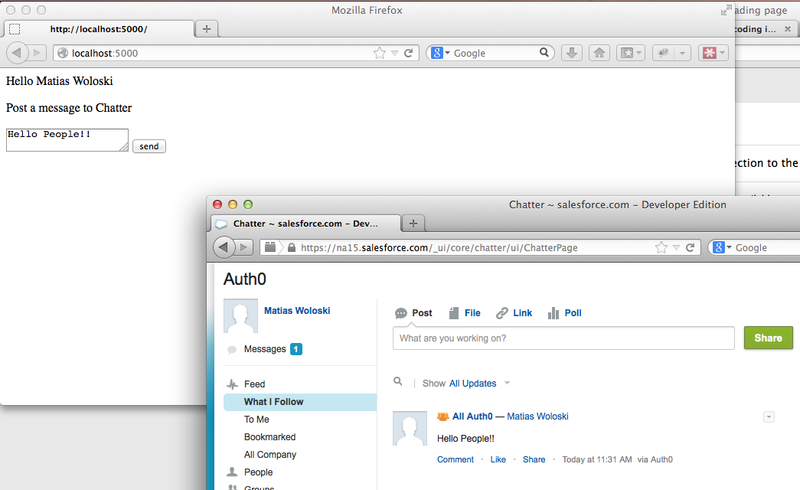 This endpoint does a POST to the chatter feed of the first group using Salesforce's Chatter API and redirects back to the home page. 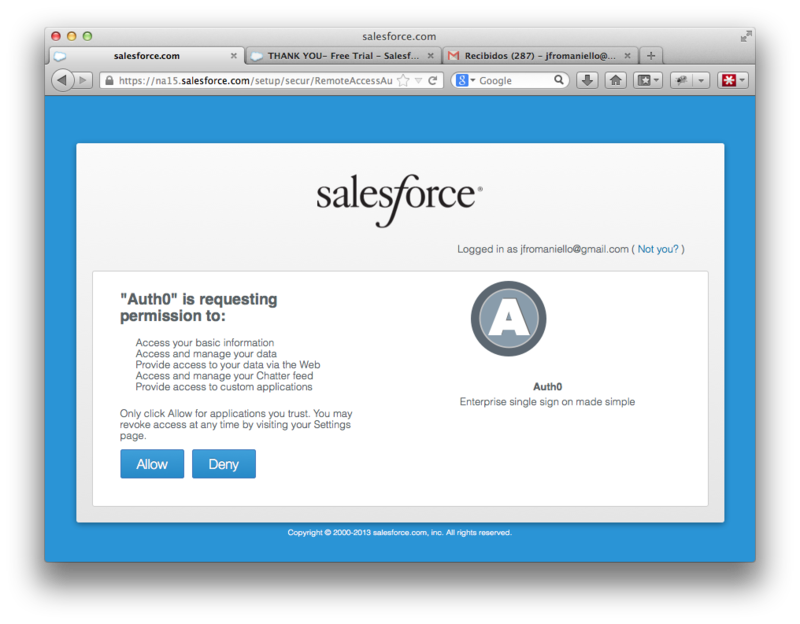 I wrote a very small wrapper of Salesforce REST API here.